During the high season (Dec-April) there is valet parking. At other times of the year there is ample parking in the parking lot. 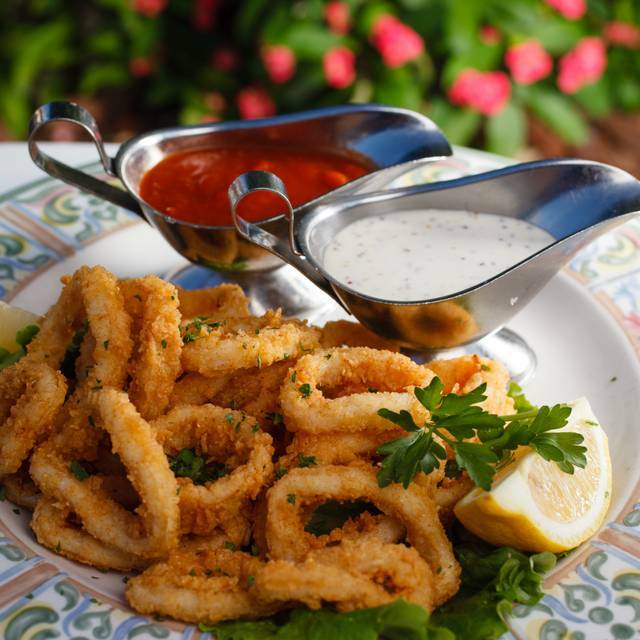 There are three ways to enjoy the Bayside Seafood Grill & Bar, one of Naples most beloved waterfront restaurants for locals and visitors alike. The Café, on the sidewalk level, has the wonderful, bustling ambience of a big city neighborhood café. The Café menu offers sandwiches, salads and light entrees through the late afternoon and evening. 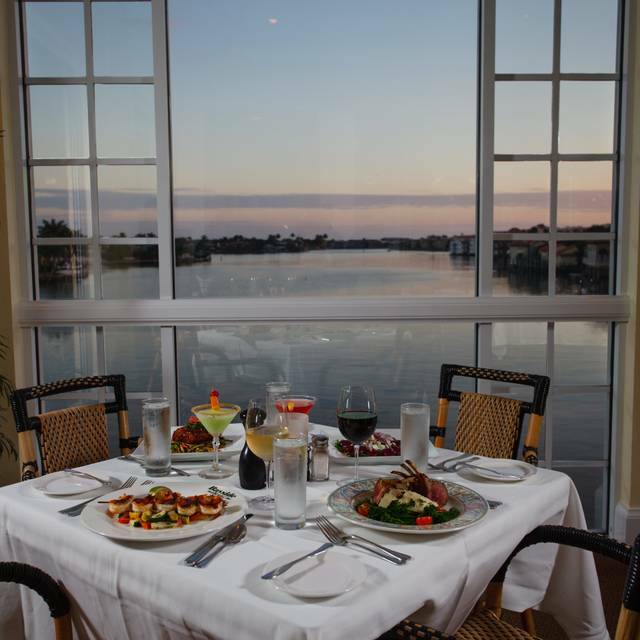 The Grill, accepting reservations, is upstairs and overlooks the Venetian Bay -- one of Naples best waterfront dining views. 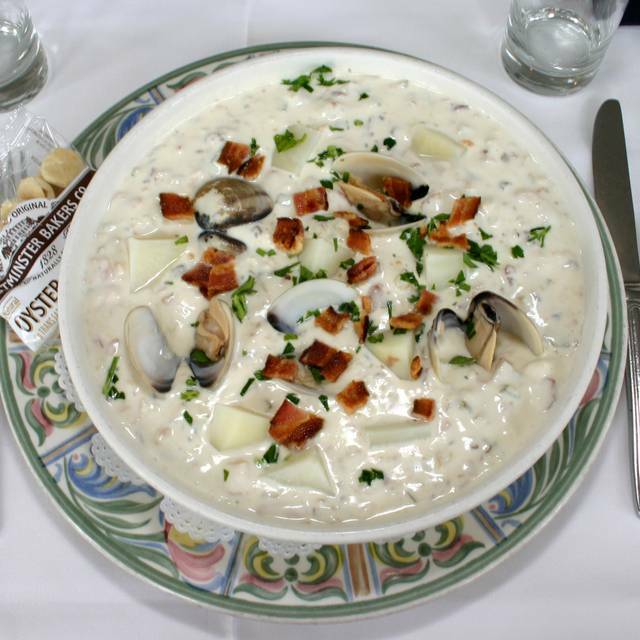 The Grill specializes in creative and superbly prepared seafood, meats, and pasta dishes. 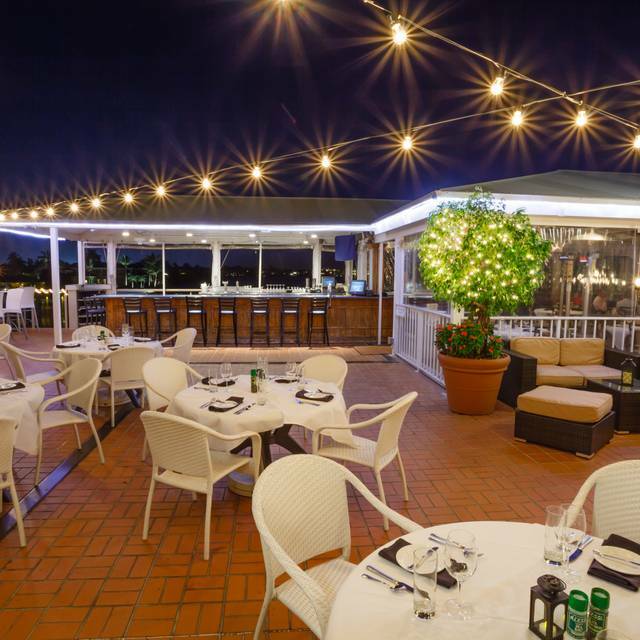 The Grill menu is also served on the Upper Deck Bar and Covered Patio, an award winning outdoor cocktail and dining spot that overlooks Venetian Bay and provides spectacular hues of the setting sun. Between 2-4:30p.m. the Upper Deck Bar offers a lighter, late lunch menu. We enjoy this restaurant.and it’s one of our favorites. We like dining upstairs and outside. They have entrainment in the bar area and this time it was offensively loud for the four of us trying to have a conversation. We may consider eating inside in the future to avoid this. Be cognizant of this when making a reservation. Overall, a very good experience and will definitely go back. Setting is splendid - saw some dolphins as we ate. Reservation was for 11:30 and as lunch went on, restaurant become quite noisy, making it somewhat difficult to hear our conversation. Absolute favorite place for a great meal and great service! 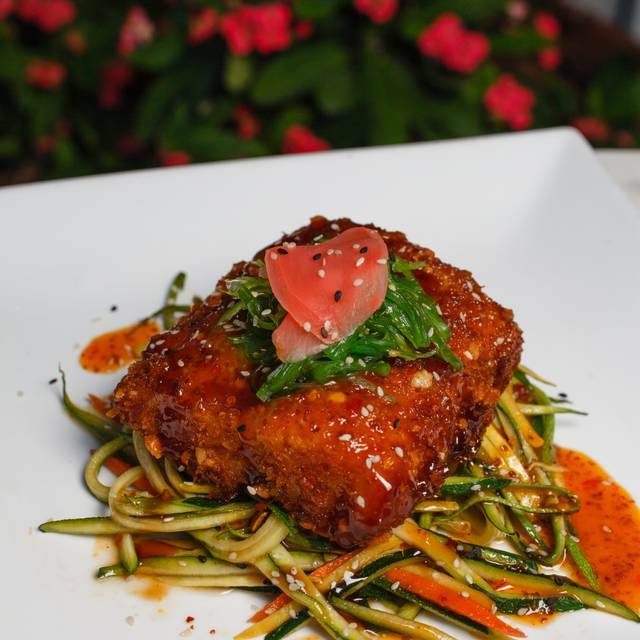 We had the Crispy Mahi Mahi and the sea bass. Our first time, we truly enjoyed ourselves. Been going here for years. VERY disappointing. Black bean soup...great! We asked our waitress if the crab cakes were good. We are very fussy about crab cakes. She said that they were filled with CHUNKS of crab with little bread...NOT! The eggs benedict were good, but they covered a THIN piece of "crab cake". It was very thin, tasteless, and ALL bread with very little SHREDS of crabmeat. When my sister complained, her reply was:"No one has ever complained about them before". MISTAKE!!! WE ARE COMPLAINING. We had 3 orders and all 3 of us did not like their crabmeat eggs benedict. I showed her the pile of wet bread on my plate that they considered a crabcake. I suggested that in the future not to recommend them. She once again became adamant about how everyone loves them. SERIOUSLY? I was a waitress for 30 years. THE CUSTOMER IS ALWAYS RIGHT! $21 for eggs on an English muffin. Very small portions for entrees priced $40-$50. Brought my family of six there for dinner and left disappointed. Food tastes good, but portions of fish were very small. The view was lovely, service average, and you leave hungry after spending over $300 for dinner. We were seated outside on the upper deck and it was beautiful. The food was good but not outstanding. Scallops were probably the best and also the Miso sea bass. Snapper, chicken and pork chop were good but not great. People there were having a good time. Beautiful evening. Food wasn’t that great for the price. Not outstanding. I had the grouper and both of my friends had the pasta with seafood. All of the dishes were soaked in butter and oil to the point of puddling on the plates. The pasta was overly salted and inedible. We sent all of the dishes back. 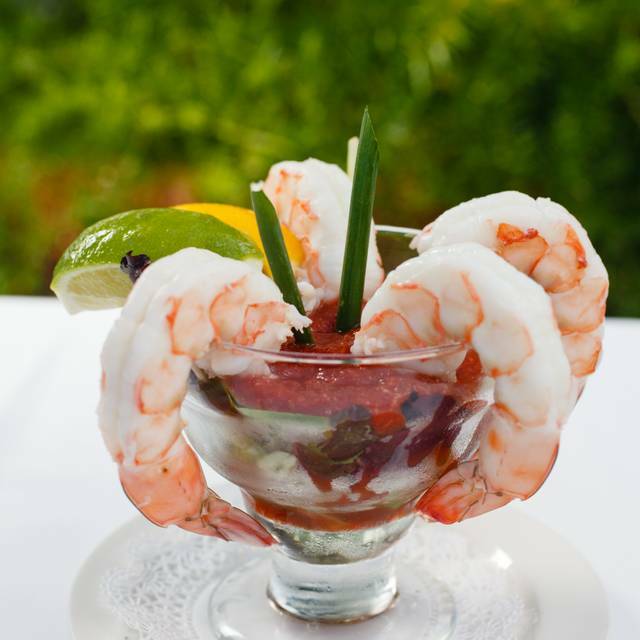 Beautiful views of the bay, outstanding service, delectable food. Loved the lobster bites and the steak was perfect. Nice evening. Provided nothing special after dinner for the loving couple. Sat inside by a bunch of windows, nice. But, not great. Food and service was great. Went there for a birthday luncheon, our waitress was fabulous. Would like to see something other than fish on the lunch menu and more soup options. While on vacation in the area, my husband and I wanted to find waterfront dining for dinner and we couldn’t have found a better place! We asked to be seated outside and they gave us a great table overlooking the bay as the sun set and there was a musician playing mellow rock songs. Service here was fabulous. Wish I could remember the very tall server’s name we had to give him a shout out. I ordered the soup of the day, broccoli and cheddar. It was delicious with nice chunks of broccoli that I like. For dinner, I had the seared sea scallops that were cooked to perfection in a butter sauce that I souped up every bit of. My husband ordered the duck that also was cooked just right with crispy skin in a raspberry sauce. My husband said it was the best he’s had. For dessert, I had banana bread pudding that was OK. My husband had the chocolate mouse cake that was a better choice. Overall, it was great dining experience if you are in the area. Food was not memorable. Noise level high in spite of one half empty room. Expensive for quality of food. Lovely view and good service. The restaurant exceeded all expectations. We dined upstairs at the covered open air tables. The bar boisterous and lively, the view of the bay wonderful. The food: The spinach salad for starters, light tasty delicious so refreshing. The mussels tasty with a nice bite. The lobster Bisque wonderful . The entrees; The Sea bass delicious, sweet, perfectly cooked. The Coconut Shrimp tasty and perfectly cooked. The special desert coffees wonderful. The entire experience well worth the price. Our dinner was delicious. Great service as always. Our food was delicious, especially the appetizers—- coconut shrimp, spring rolls and calamari. We were seated right away and love the ambiance overlooking the water with live music in the background. Great warm bread, too! 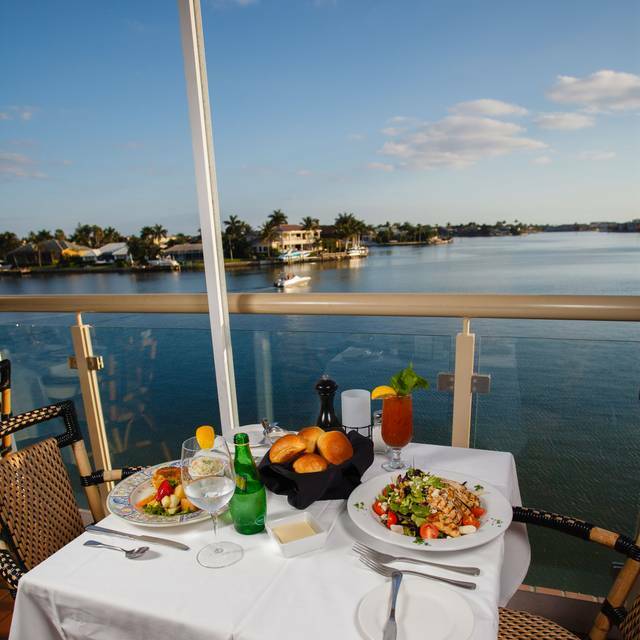 Great food, professional service and beautiful view. Best combination. Too noisy on the deck. Can’t hear the conversation. I love Bayside grill!! The food, ambiance, and service is exceptional. I have never had a bad experience. Top notch!!! The restaurant has a great view but is very tired. The chairs are worn and old. The carpet is very dirty. It really needs an update. The age and dirty carpet overshadow the view. We enjoyed watching boats and seeing the fish swimming nearby. We frequent Bayside so obviously like it. 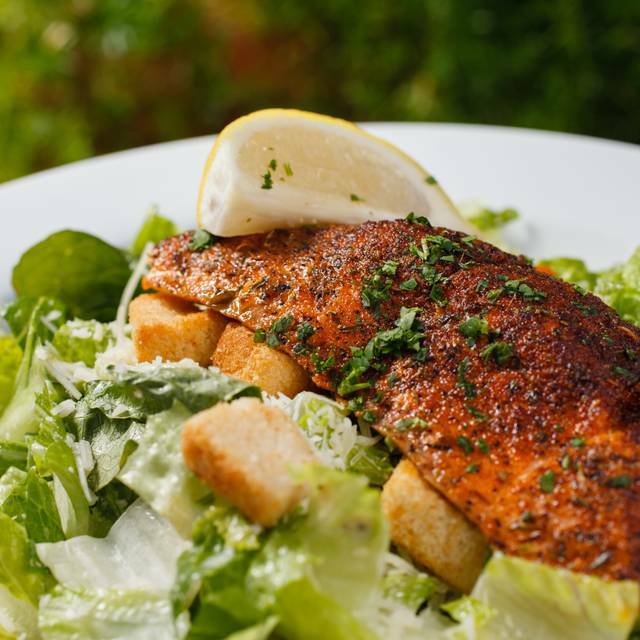 It’s a nice, balanced menu with something for everyone and even more so for fish lovers. It is a great location overlooking water and has inside or outside option. Have always found the service to be friendly, timely and very open to substituting. The food is lovely....not particularly innovative but definitely fresh and very good. We chose to reserve Bayside because we were given a tour a few days earlier and loved the outside deck. When we arrived we found that the covered deck had been rented out. The hostess was very cold and unwelcoming and we were seated in a back room with the least attractive view and furniture. The server was good but there was no warmth in the personnel and we were disappointed in our table. The food was ok. We will not be returning to Bayside Seafood Grill. Great Luncheon per usual. Bayside never fails, beautiful location, great staff & excellent food. Highly recommend it for either lunch or dinner. Has a small but very cool bar with a great view. 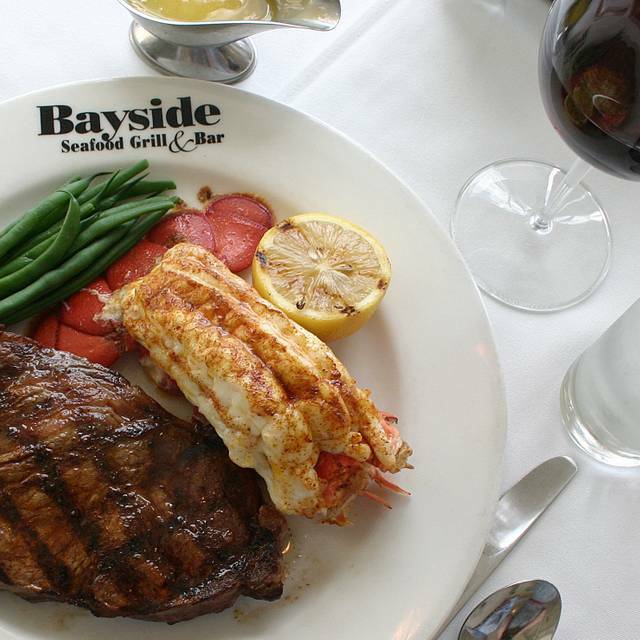 I have been to bayside many times and always satisfied with food and my server! I think we found one of our new 'favorite' restaurants! We sat outside on the 'porch' and it was wonderful! Food, service and atmosphere was just what we were hoping for! From the moment we entered, to the end of our evening, we had a wonderful experience! We will definitely be back! Always dependable for quality food and service. View is outstanding. Very good food and service. Dining room has very comfortable ambience. Expensive but worth it, always an enjoyable evening out.